S-Cross, the most expensive vehicle from Maruti Suzuki, has managed to cross a milestone of 50,000 units in sales. Launched in August 2015, the vehicle had seen an initial phase of weakness due to its pricing and competition from Hyundai’s Creta, launched days before S-Cross. The country’s largest car maker has sold over 46,000 units of S-Cross in domestic market since launch, data with Siam showed. More than 4,000 vehicles have been exported to different destinations. The vehicle, positioned as a crossover, had seen challenges post the launch. 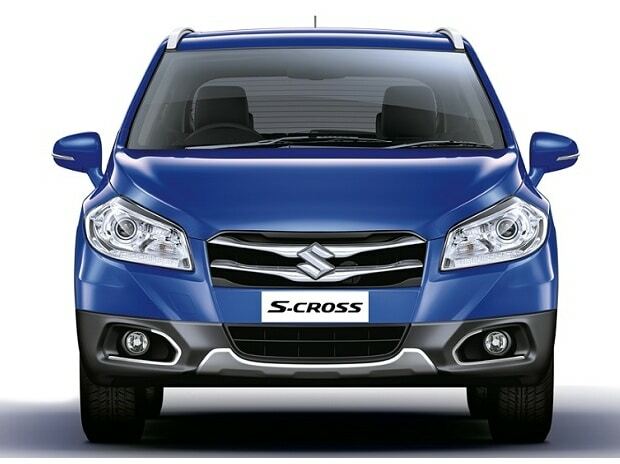 Within a couple of months of the launch in August 2015, there was a sizeable discount of up to Rs 90,000 on S-Cross. Maruti admitted it went wrong on pricing of the 1.6 litre vehicle. When the S-Cross was launched, the 1.6-litre option was priced at Rs 11.99 lakh, Rs 12.99 lakh and Rs 13.74 lakh for the base, mid and top-end models. In January 2016, price was corrected to Rs 9.94 lakh, Rs 10.94 lakh and Rs 11.69 lakh, respectively. S Cross now comes in the price range of Rs 8.07 lakh to Rs 10.64 lakh for the 1.3 litre engine and at Rs 12.04 lakh for the 1.6 litre engine. “The price to value equation on 1.6 litre was not appreciated by customers and we responded by correcting price. The crossover is a new concept in India as it is placed between the sedan and SUV. People are yet to get used to this concept of one vehicle that can be used as a SUV for weekend drives and an office vehicle for weekdays. That is now evolving. Our target was 2,500 units a month and at this number we become a market leader,” said R S Kalsi, executive director (marketing & sales) at Maruti Suzuki. With S-Cross, Maruti Suzuki was attempting to break into a new segment which was also meant to be premium compared to most of its other products. Naturally, the vehicle generated lot of expectations. Comparisons were drawn with other large selling vehicles from the company. It was after a long gap Maruti had come up with a product that was priced well above Rs 1 million mark. The earlier Maruti products above the Rs 1 million price mark were Grand Vitara and Kizashi, both imported and therefore priced higher due to taxes. Both did not perform in terms of volume. S Cross was also unique in Maruti’s scheme of things because it happened to be the first vehicle to get retailed from the company’s ‘premium’ retail network Nexa. Maruti sought to woo the refined and discerning car buyer who was also looking for a better automotive customer experience. Maruti did have learning from S Cross and an important one: that the average Indian buyer is still conscious about spending and seeks more out of less. This was evident when the company launched its premium hatchback Baleno in October 2015 at an aggressive price beginning Rs 4.99 lakh. There is still a waiting period of few months on the Baleno after nineteen months of the launch.